I wrote this profile for the Dallas Morning News. It was published on April 14, 2001. He looks harmless enough, this slightly built former altar boy. But for almost three decades, renegade ex-spy Philip Agee has been a thorn in Uncle Sam’s side. He blew the cover of hundreds of American agents in the 1970s, exposed covert operations around the world and thoroughly embarrassed the CIA. And now, in his latest exploit, he’s operating an Internet startup in Havana, openly defying the U.S. ban on trade with communist Cuba. “There are those in the U.S. government who could make the case that what I’m doing is illegal. I don’t think it’s illegal. In fact, I think the American embargo is probably illegal,” said Mr. Agee, who at 66 still espouses the leftist views that put him on a collision course with the CIA. He said his online travel agency, Cubalinda.com, is the first independent American-owned business to operate on the island since Fidel Castro took power in 1959. “I was looking for a book on Amazon.com one day and decided, hey, if you can sell books this way, why not sell travel?” he said. The former spy could get 10 years in prison and up to $1 million in corporate fines for running the company – if he’s ever prosecuted in the United States. But Mr. Agee, over a leisurely meal of crab claws and shrimp in garlic sauce, didn’t seem too concerned. The Florida native is something of a legend in the spy world, a darling to the left, a traitor to the CIA. He joined the agency in 1957 and carried out covert operations in Latin America before quitting in 1968 and publishing a scathing expose called Inside the Company. 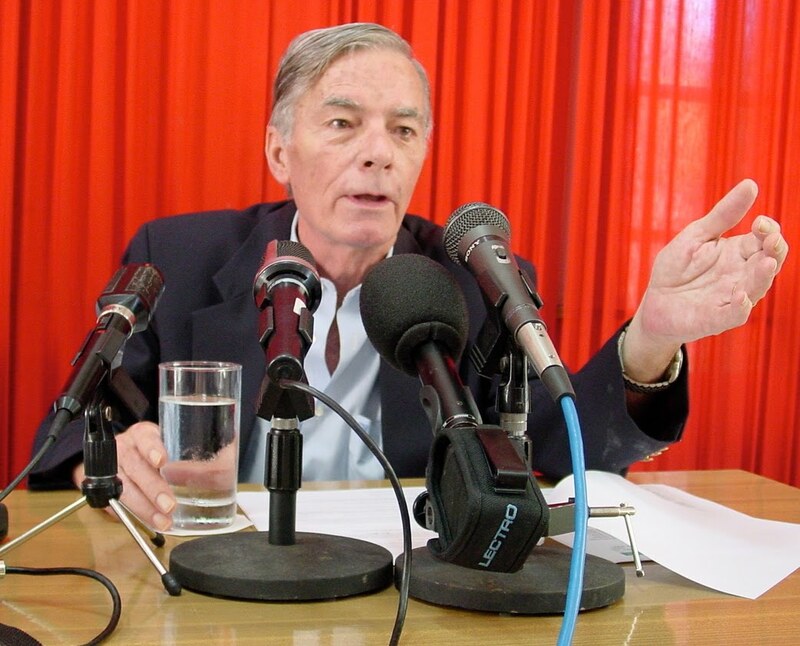 Indeed, Mr. Agee is considered the CIA’s only “ideological defector” in 54 years. The former agent came from a conservative family in Tampa, was educated by Jesuits and joined the CIA after college. His first overseas post was Ecuador in 1960. From there he went to Uruguay and Mexico. Fighting the “holy war against communism” was expected in those days, he said. But over the years, he said it became “crystal clear” that the CIA was “nothing more than an enforcer” helping the U.S. government and American companies maintain their economic and political clout abroad. After leaving the CIA, he began taking college courses in Mexico City. And soon he decided to do the unthinkable: to publish the first tell-all about the CIA. He went to London and began digging up newspaper archives from the time he worked for the agency. Before long, he was broke. A female university student and a young male journalist befriended him and gave him money and a typewriter. Later Mr. Agee discovered they were CIA agents sent in to spy on him. He also found that the typewriter had a radio transmitter that helped track his movements. The woman tried to pay his way to Spain, Mr. Agee contends, to have him kidnapped, killed or arrested on false drug charges. He pressed on and published his book, which denounced CIA tactics and identified scores of agents, forcing the agency to shut down operations all over Latin America. The CIA tried to control the damage, planting stories about Mr. Agee. They “tried to make me look like everything from a traitor to a drunk to a womanizer to a mental case,” he wrote later. In December 1975, left-wing extremists murdered Richard Welch, the agency’s station chief in Athens. The CIA pinned the blame on Mr. Agee, though Mr. Welch wasn’t named in his expose. Weeks later, George Bush took over as CIA director and “they pushed this version harder and harder that I was responsible for Welch’s killing,” Mr. Agee said. Mr. Bush called the murder senseless and said when he tried to console the victim’s son, he wasn’t quite sure what to say. Former First Lady Barbara Bush repeated the accusations in her 1995 autobiography and Mr. Agee sued her for $4 million. She acknowledged Inside the Company wasn’t to blame, changed a passage in the paperback version of her book and he withdrew the suit. To this day, Mr. Agee accepts no responsibility in the Welch murder, but he is unapologetic about exposing agents’ identities. He created, as one reporter put it, “do-it-yourself guides to unmasking CIA agents.” And over the years, he and other like-minded activists blew the cover of 2,000 to 3,000 operatives. Naming the agents was akin to “cutting off the hands of a young surgeon,” former CIA Director Stansfield Turner said. “It was more difficult to put these trained CIA officers back on the street because everybody knew who they were,” Mr. Turner said in an interview. However, other agents – such as former spy Aldrich Ames – caused even more damage, he said. Mr. Ames disclosed the identity of CIA agents in the former Soviet Union in June 1985. At least nine of them were executed. He also turned over intelligence documents to the KGB, giving the Russians a stack estimated to be 15 to 20 feet high at one point. Mr. Agee said he has no regrets about the damage he caused. In short, Mr. Agee wanted to shut down the CIA. Britain considered him dangerous and deported him in 1977. France, Holland, West Germany and Italy also expelled him or denied him entry, and his U.S. passport was revoked. Yet through it all, he kept dragging out the CIA’s dirty laundry. “Latest information is that Agee is leaving on Saturday (Thank God),” read a U.S. Embassy cable in one city he visited. His supporters say his work helped force the U.S. government to establish intelligence oversight committees and other reforms. What the ex-agent did “wasn’t damaging. It was extremely useful in educating the American people,” said Mr. Agee’s longtime lawyer, Melvin Wulf. U.S. authorities investigated but never prosecuted Mr. Agee. He said the CIA admitted to having compiled some 45,000 pages of documents on him from 1971 to late 1977 – some 18 pages per day. Mr. Agee sued to have the documents released and eventually got most of them. He said they provided evidence that the CIA committed illegal acts against him. He worried, though, he’d be indicted in the United States, so he stayed out of the country for 17 years before returning to promote his 1987 book, On the Run. In the book, he published documents describing what CIA analysts thought of him, though he said he didn’t entirely agree with their assessment. A former CIA station chief said in an interview that Mr. Agee “never saw a skirt that didn’t tempt him, and he only rarely withstood the temptation. “He was quick, but not fundamentally intelligent. His deductive powers were, I thought, limited. He was an able and hard-working case officer. Today Mr. Agee is married to a former ballet dancer from New York and has two sons, Chris and Philip, from a previous marriage. He eventually secured a German passport and settled in Hamburg but spends most of his time in Havana these days, sleeping in a small room in his office while workers renovate an apartment. Some critics regard Mr. Agee as just one more American radical with nowhere to go but Cuba. Dozens of expatriates – including fugitive former Black Panther Assata Shakur, an accused killer – live on the island. “They are a sad, homesick bunch,” a U.S. official recently told The Miami Herald. 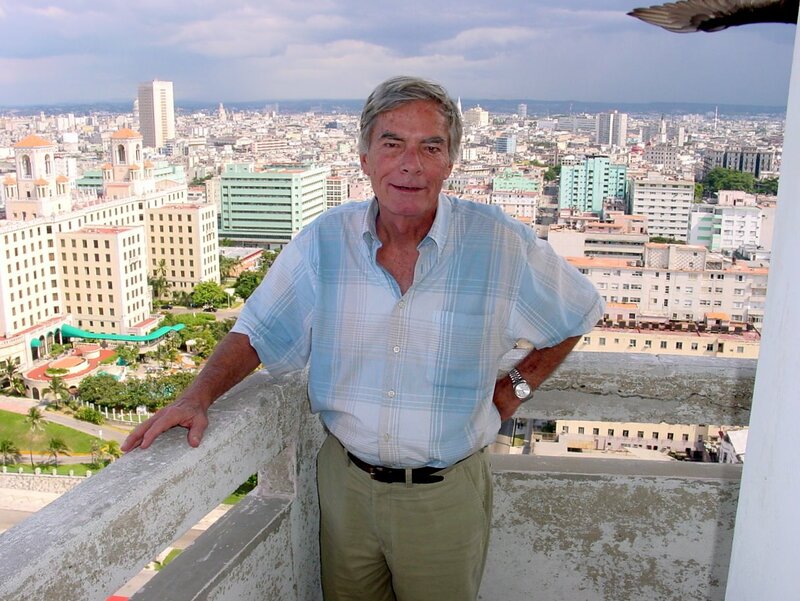 Others are convinced that Mr. Agee began working for the Cuban government as far back as the early 1970s. Anyway, he’d rather talk about his travel company, aimed at helping people explore Cuba. Cubalinda.com’s first full year of operation was last year. It broke even in November and is expected to turn a profit by midyear, he said. Politicians have turned to him, too. And when Oakland mayor and former presidential candidate Jerry Brown visited the island recently, it was Mr. Agee who set up a meeting with Fidel Castro. “So without really trying, I’ve gotten into public relations and consulting,” said the ex-agent, who has a photo of himself, Jerry Brown and the Cuban president on his wall. He hasn’t been to the United States since starting the business and said he won’t go there for now, on his lawyer’s advice, because he could wind up in jail. Still, he said he has no regrets.